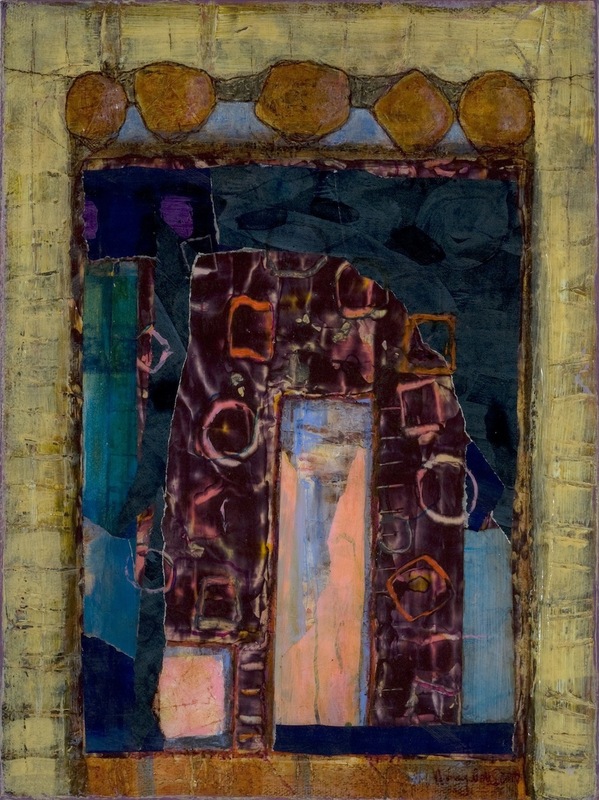 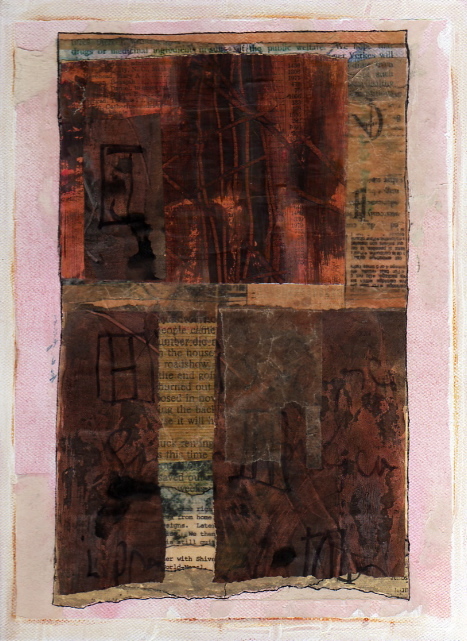 Diptych paper and paint collage on wood panel (almost done last October, finished in June), 8″x16″x1″. 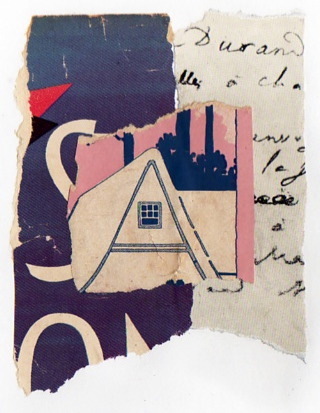 Works on paper, images 8″x8″ to 9″x12″. 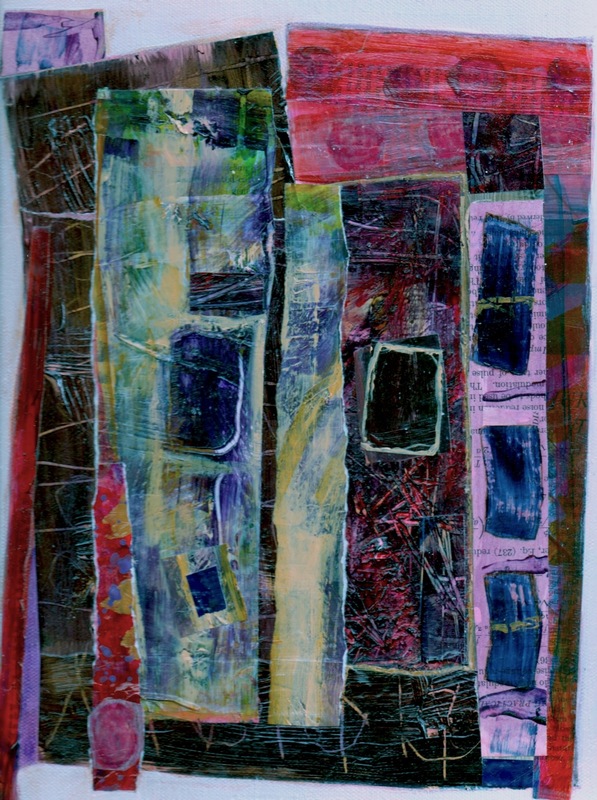 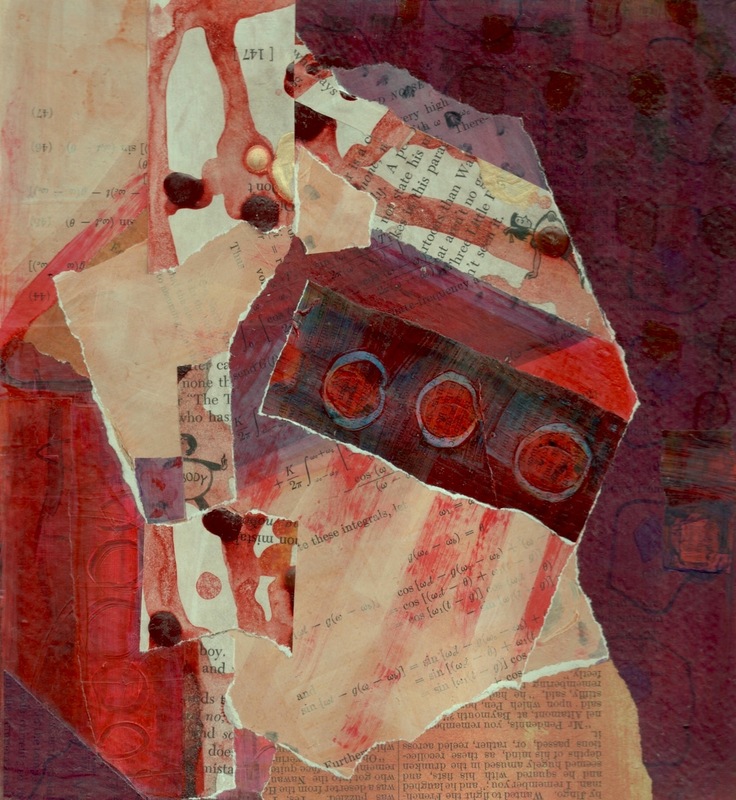 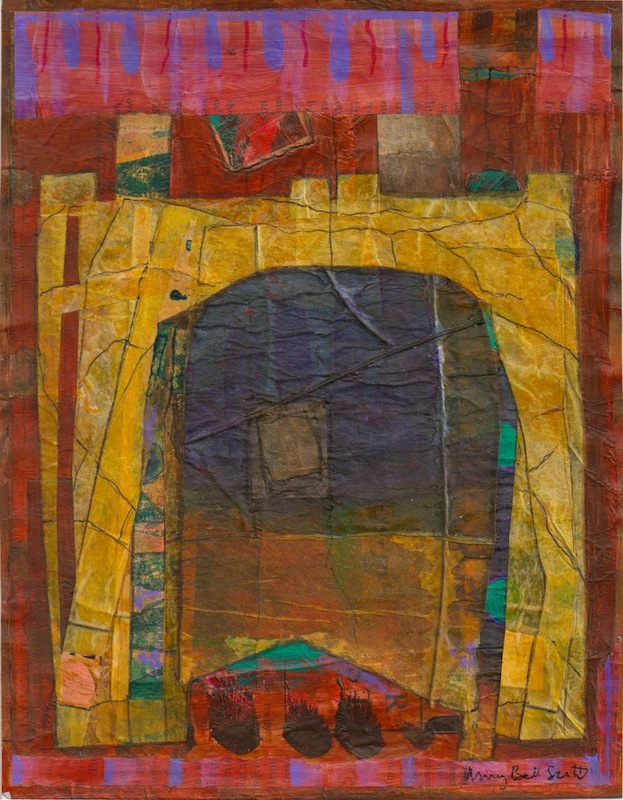 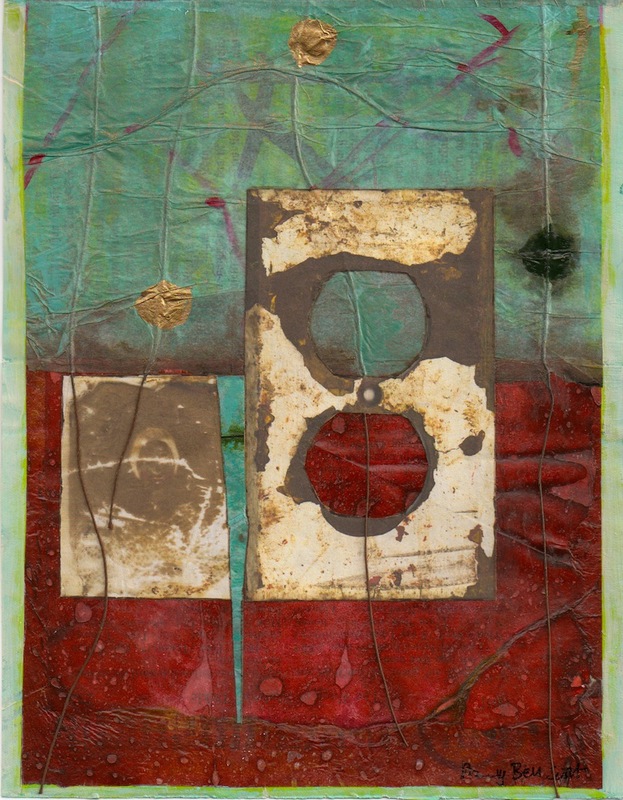 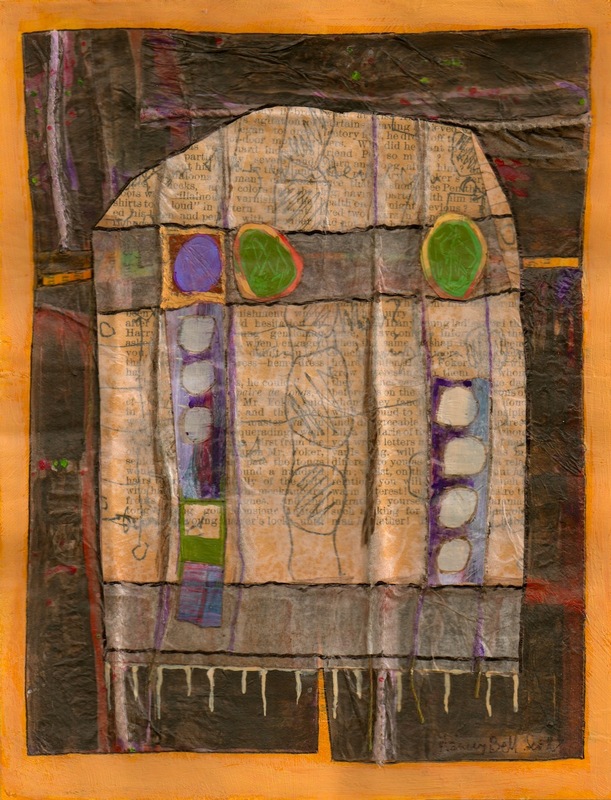 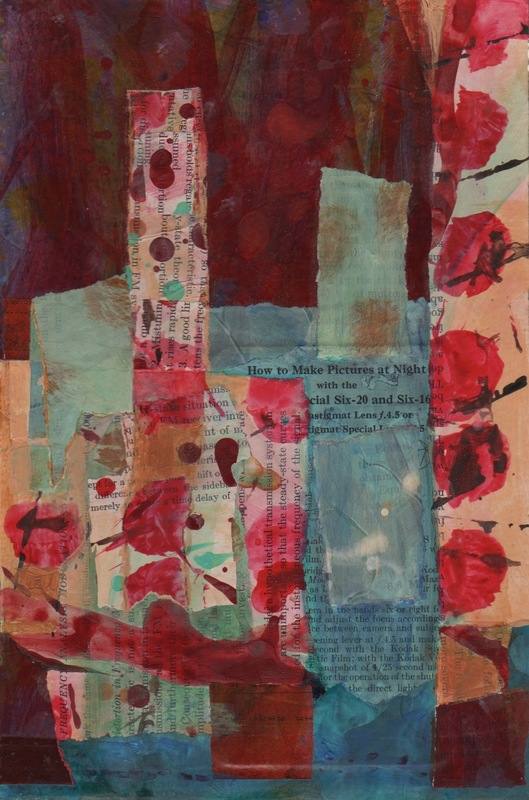 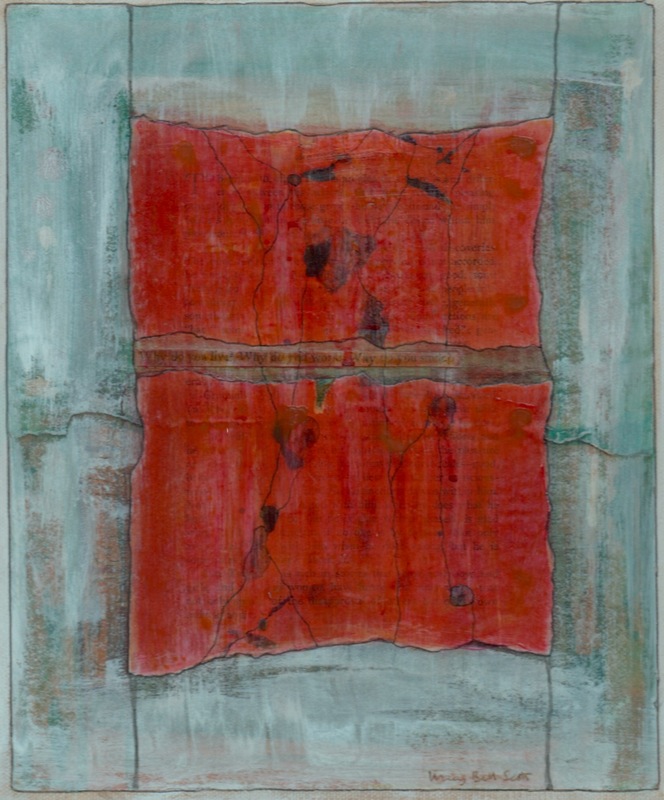 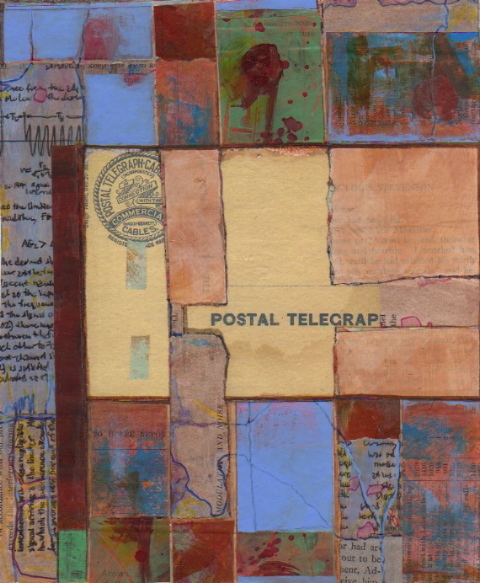 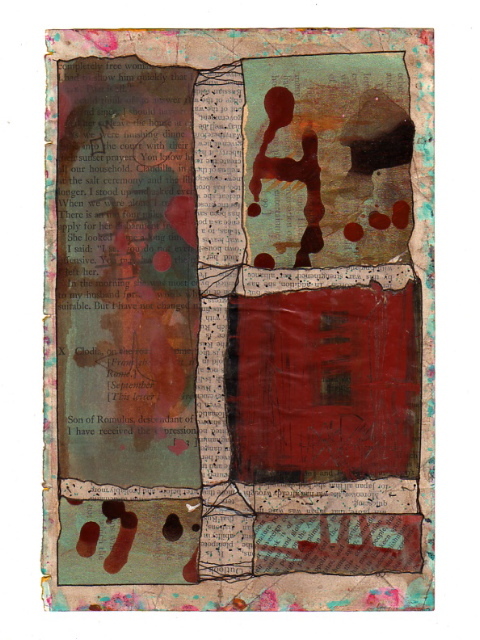 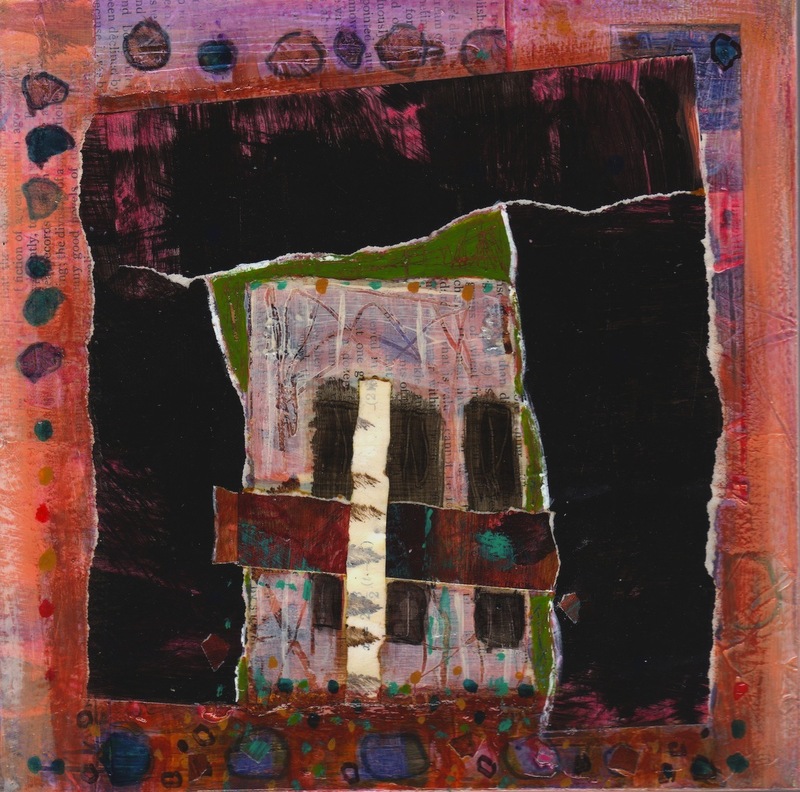 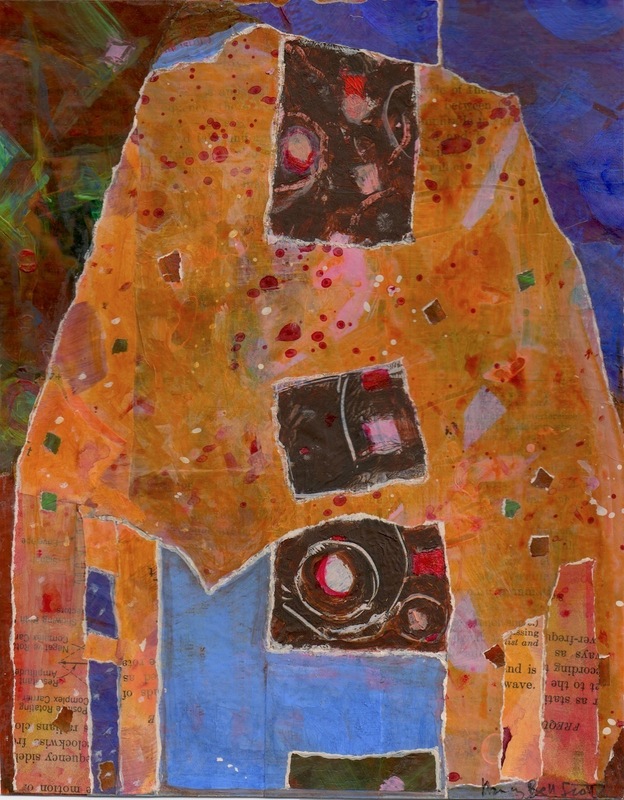 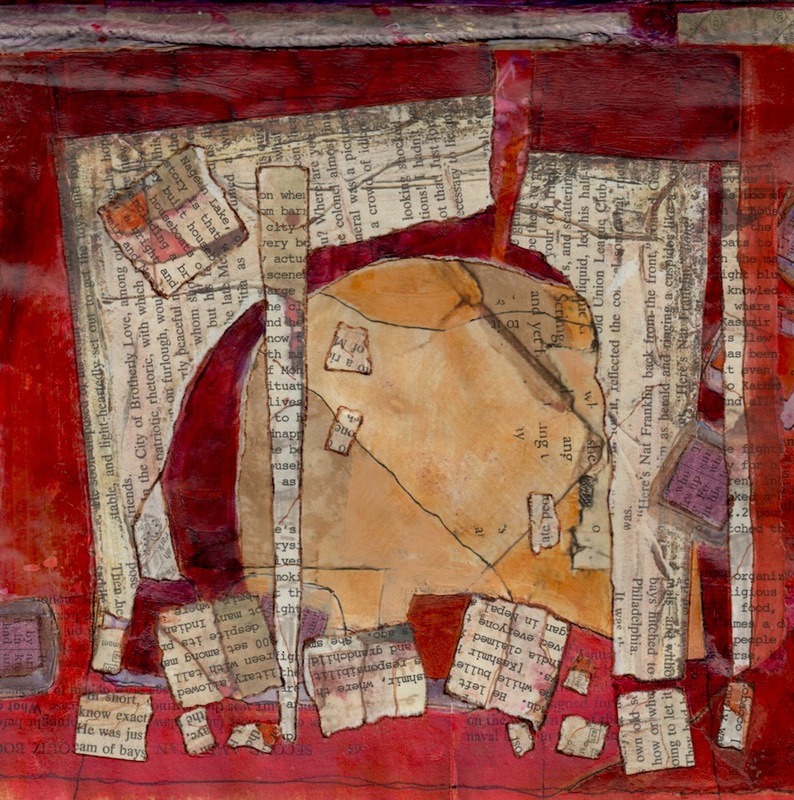 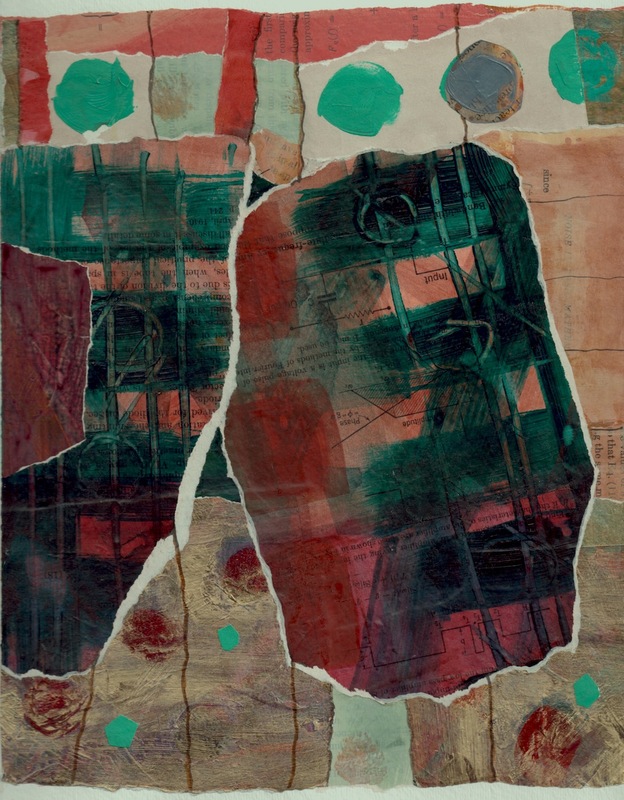 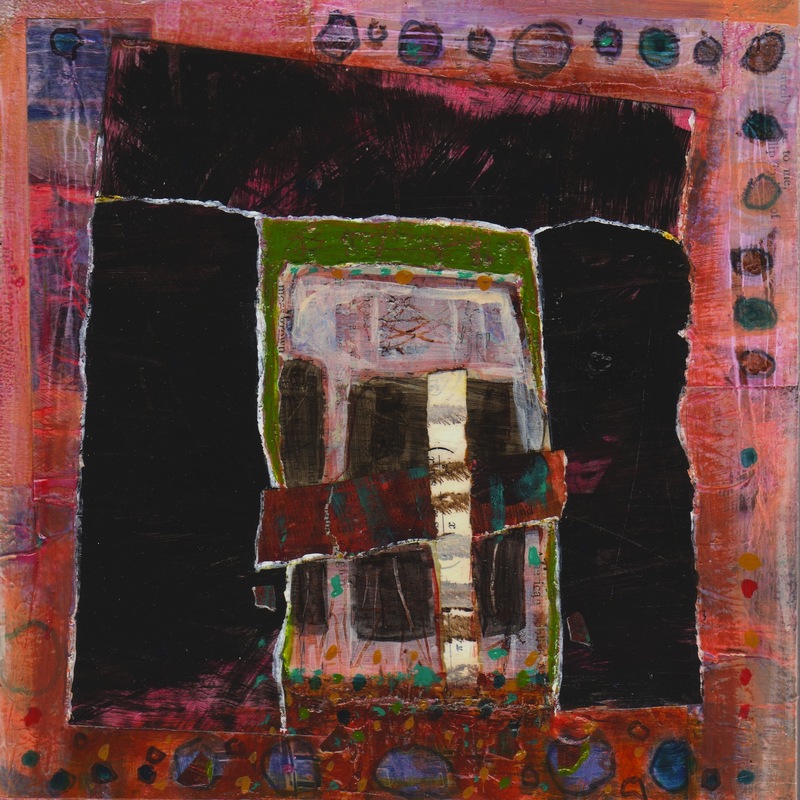 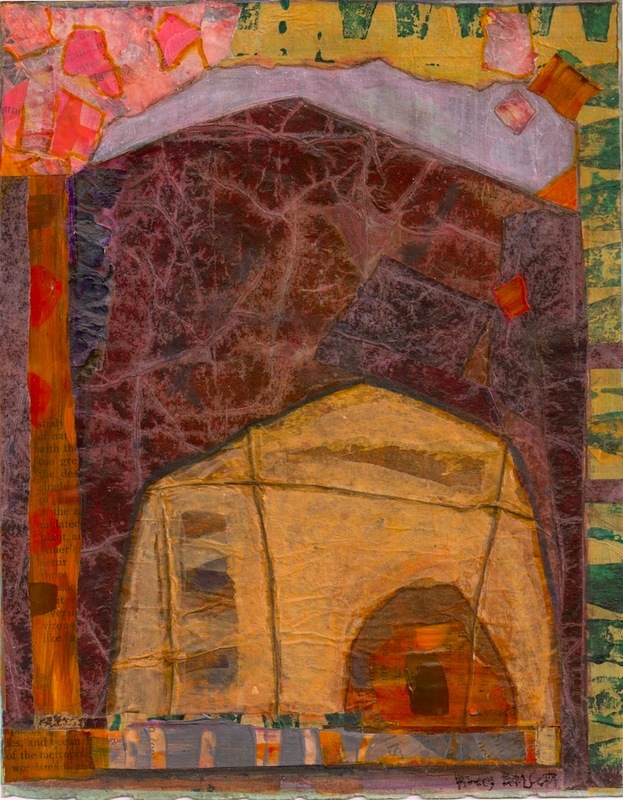 Four of these works were done for the 13th International Collage Exhibition and Exchange, run each spring by the enthusiastic and hardworking artist Dale Copeland out of New Zealand. 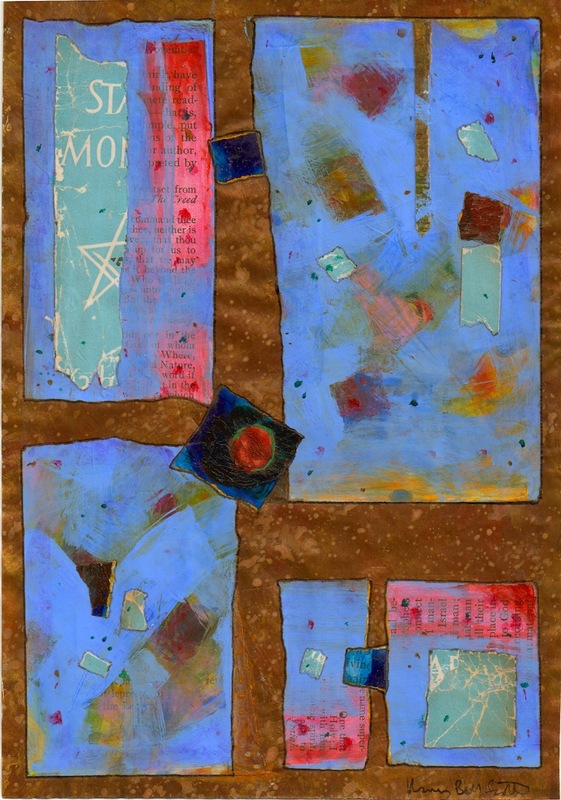 All are mounted on 8″x10″ matboard. 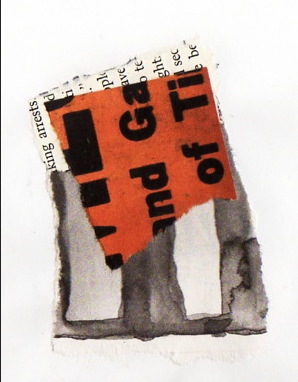 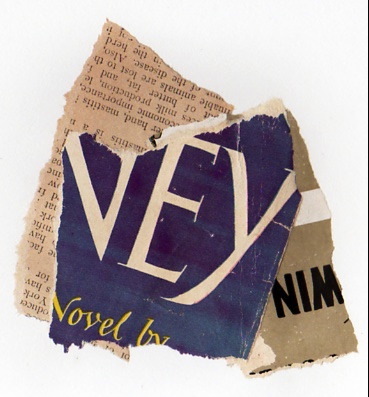 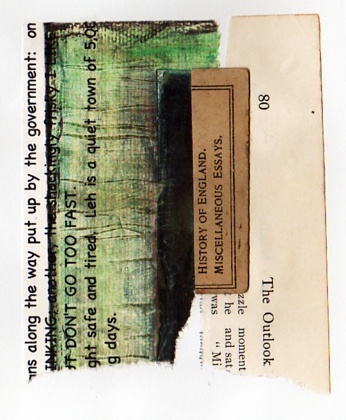 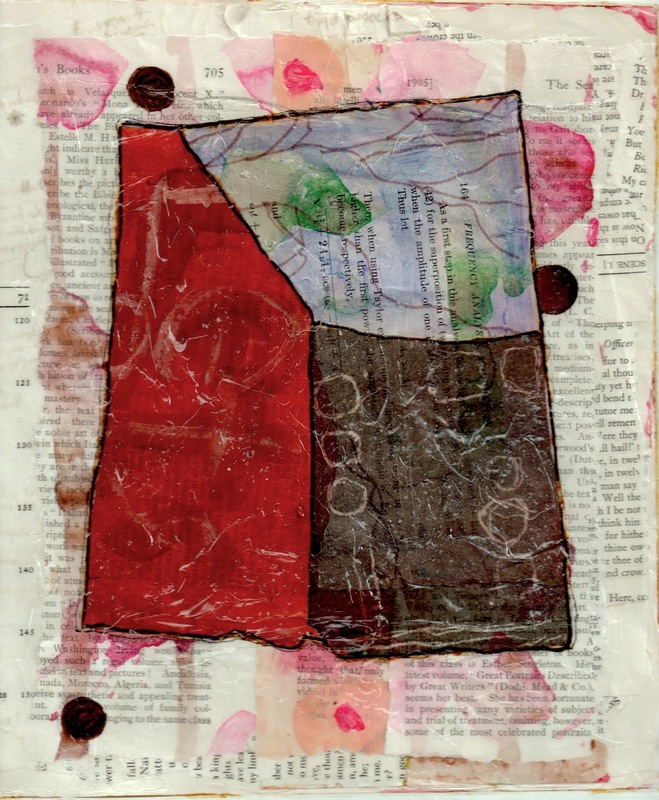 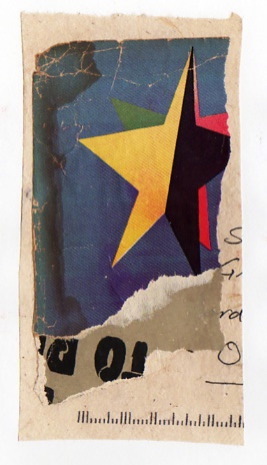 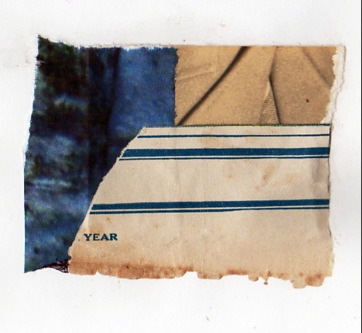 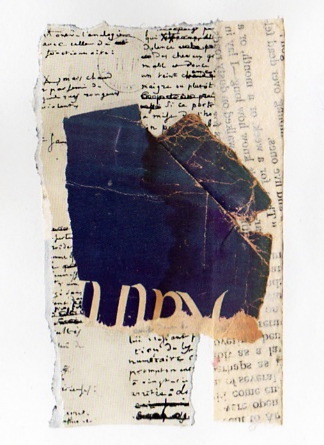 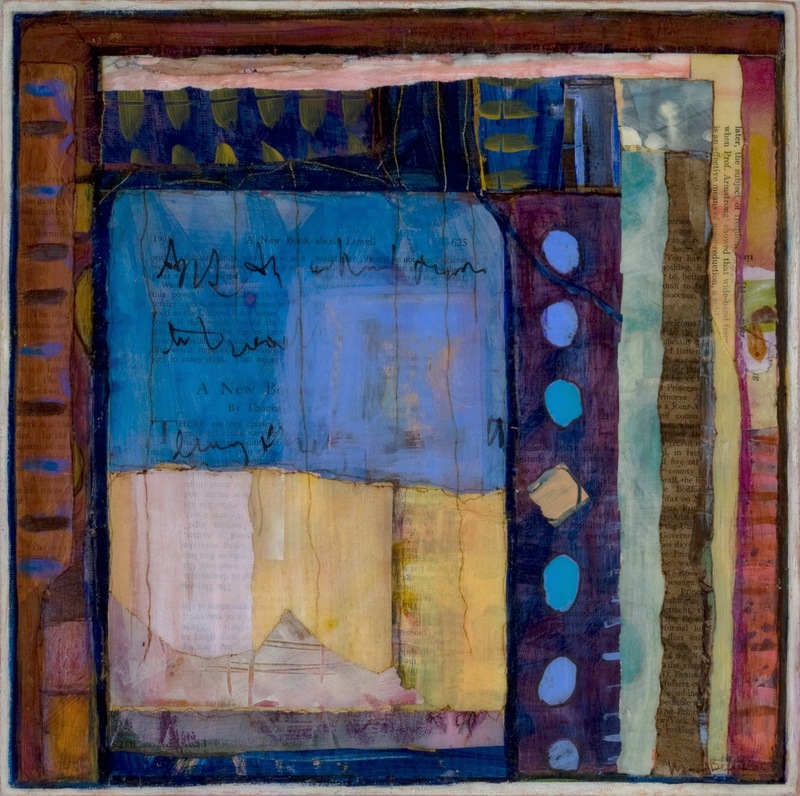 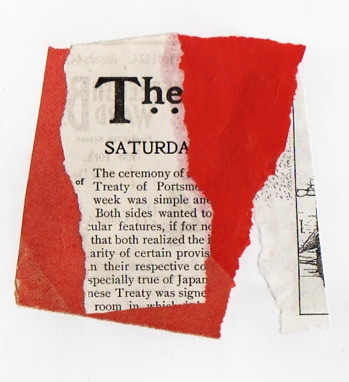 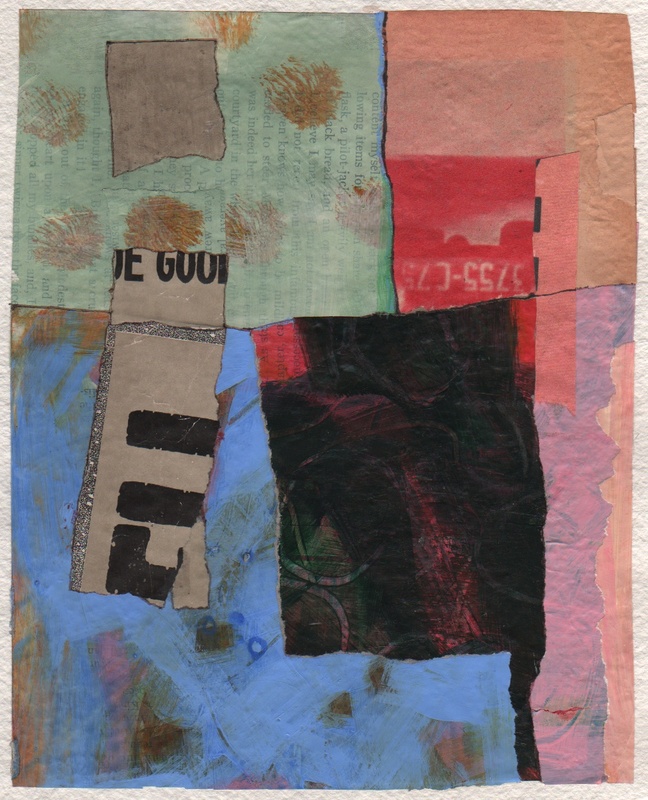 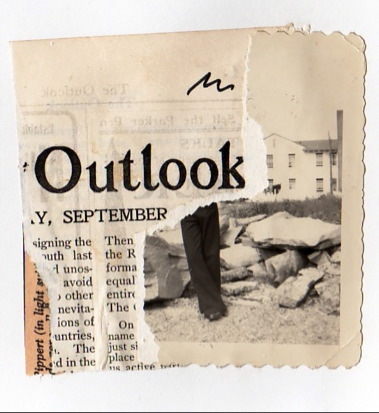 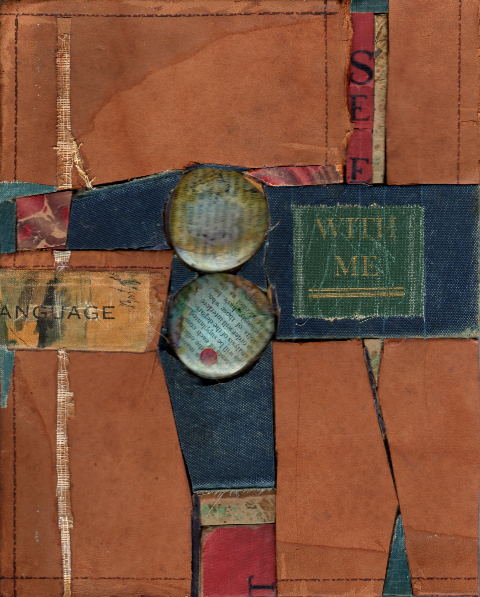 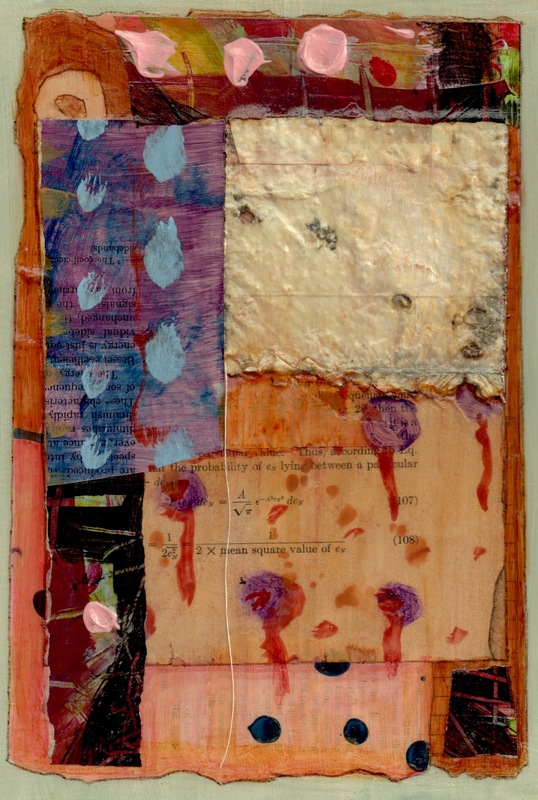 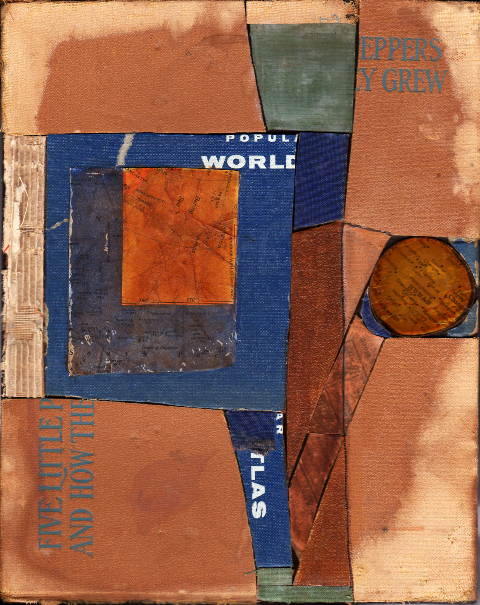 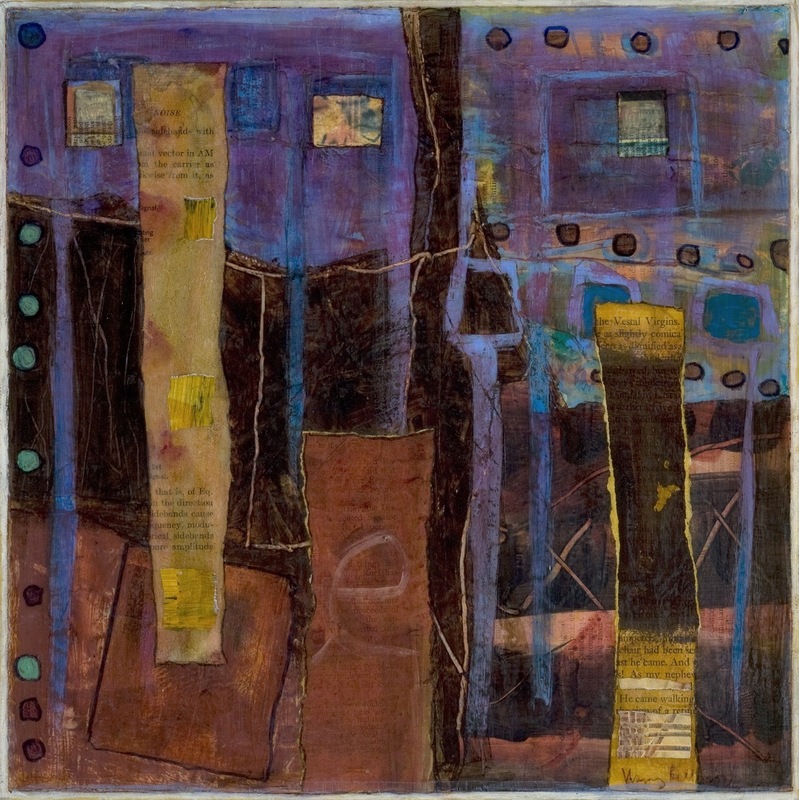 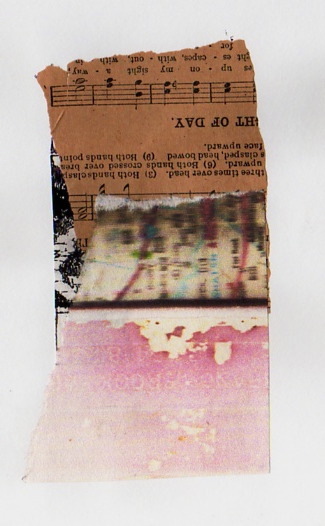 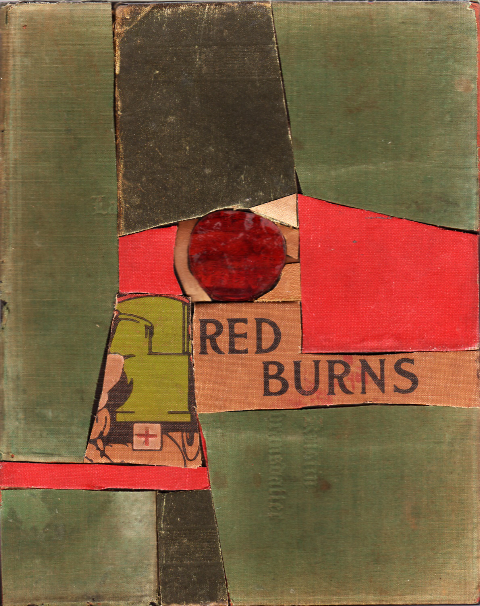 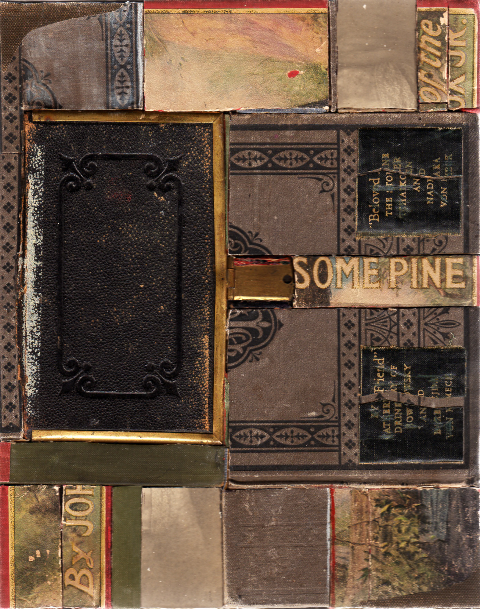 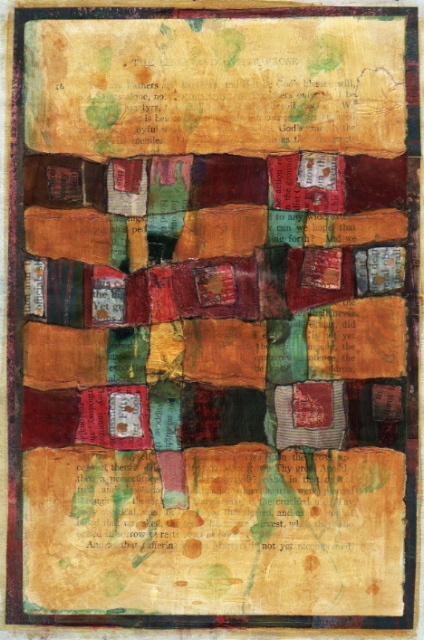 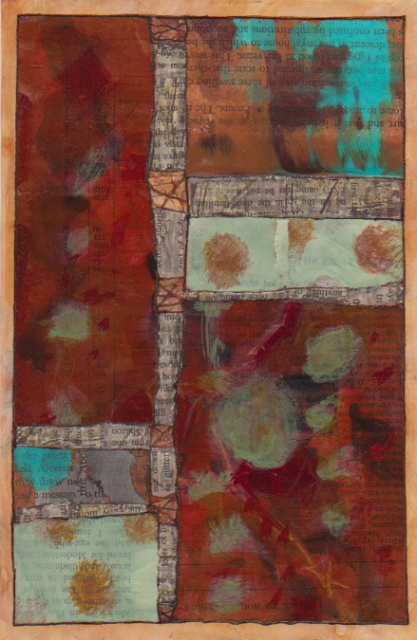 By 2009, I was creating most of my own collage materials by painting in acrylic on old book pages, sometimes leaving text partially visible and sometimes not at all. 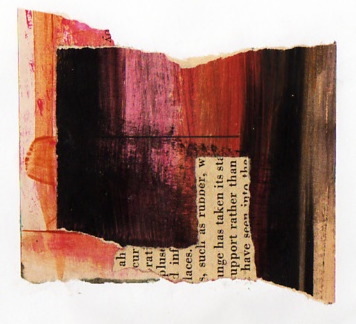 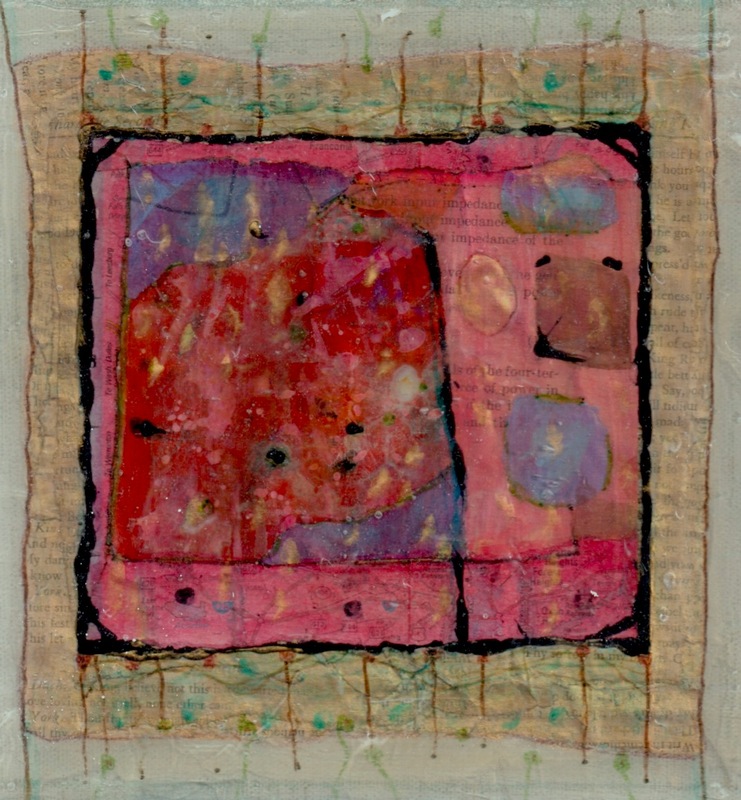 These selected works are in the 8″x8″ to 12″x12″ range, some on paper and some on stretched canvas. 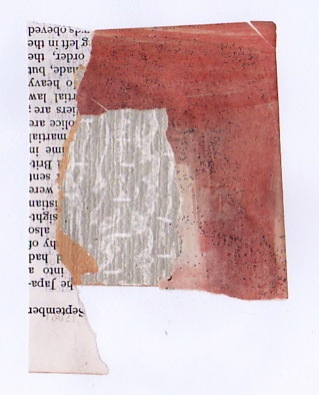 All book materials used in all works are from fallen-apart volumes headed for recycling or already discarded. 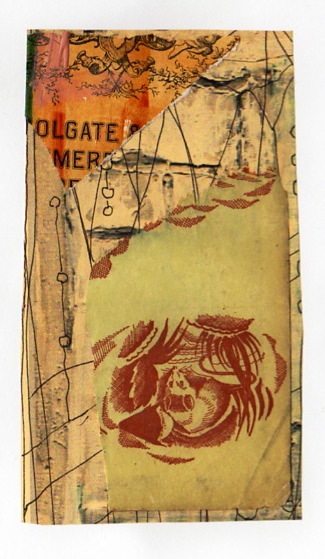 This is a selection from hundreds of 3-scrap collages done in sketchbooks, the name reflecting the method: blindly picking three scrap pieces out of my antique or handpainted paper scrap bins and creating the most effective collage possible, with no trading-in of any (initially unwanted) scrap. 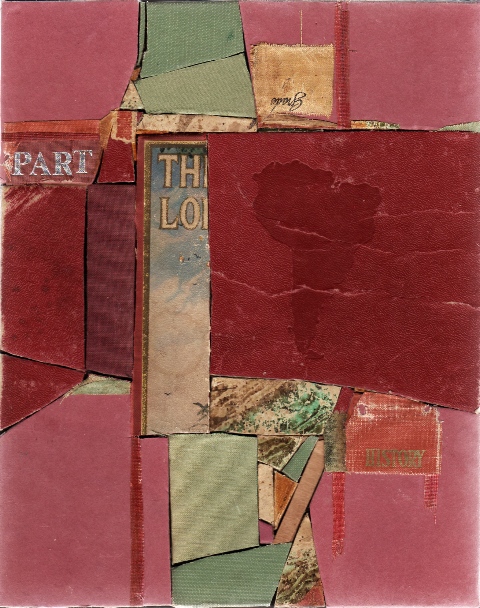 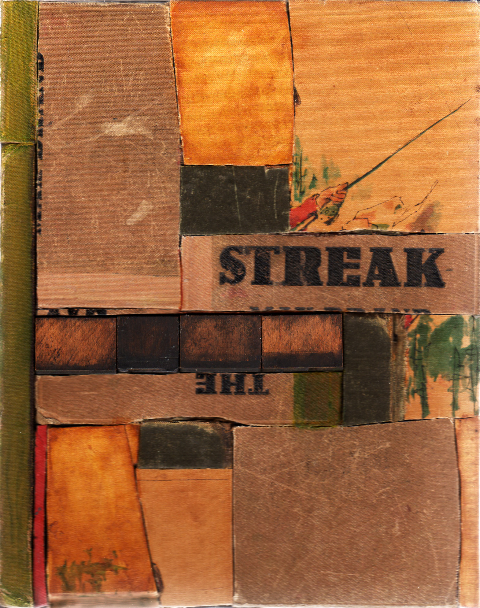 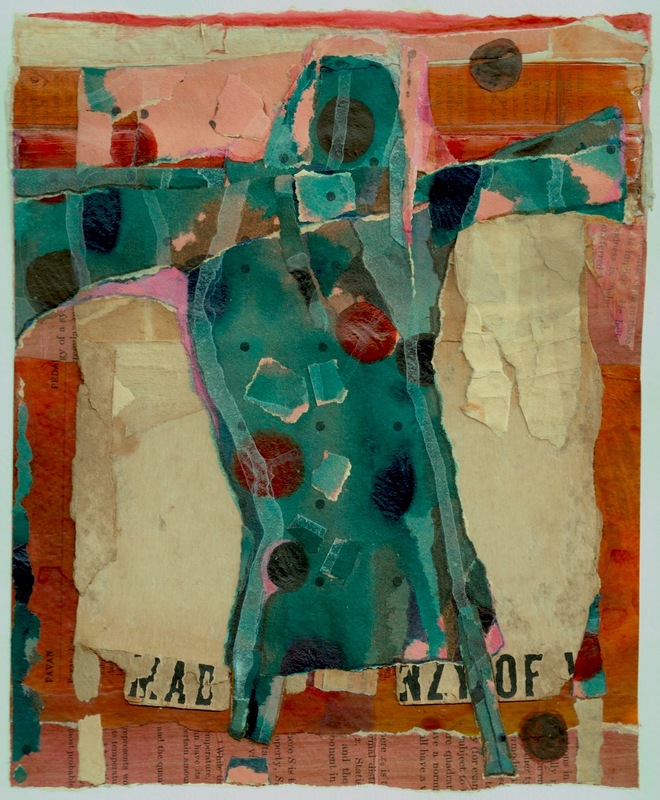 These collages, most approximately 3″x3.5″, were begun as one-a-day exercises but became an all-out and sometimes all-day obsession.